CINCINNATI – Over-the-Rhine resident Stephanie Webster’s love of cheese began in a petri dish. Though she never mastered making cheese, the experience ignited her passion for it, she said. That love, coupled with her visits to cheese shops in other cities with her husband, led her to open the Rhined, an artisanal cheese and provisions shop at 1737 Elm St. in Over-the-Rhine. The Rhined opened last June with 45 cheeses for sale. About 90 percent of those come from Midwest dairy farms, Webster said. Webster said one of her favorite regional cheeses served at the Rhined is Flory's Truckle clothbound cheddar made at Milton Creamery in Missouri. The vegetarian cheddar, made with raw cow milk, has hints of apple, grass and minerals, she said. Webster also recommends visitors try Styx Mountain, a traditional raw sheep's milk cheese she found at Yellow House Cheese in Seville, Ohio. "As we were doing research for our shop we were able to meet a bunch of cheese makers," she said. "They are the hardest-working people. They are working really hard to raise their animals right and produce high-quality cheeses." 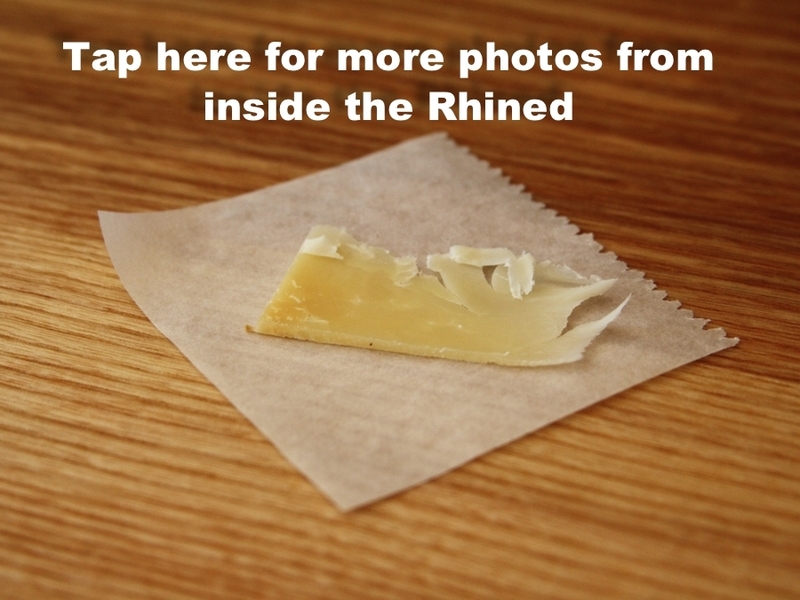 The remaining 10 percent of the Rhined’s cheeses are some of Webster’s personal favorites from around the world. “We do have a few international selections because I can’t give up my Swiss cheeses and Italian cheeses,” she said. One of those cheeses is a Casatica made by Italian cheese maker Quattro Portoni Caseificio. The cheese is made with pasteurized water buffalo milk. The high-fat content milk is what gives the soft cheese a rich, marshmallow texture, Webster said. Cheeses at the Rhined range from $3 to $10 per quarter-pound. Labels tell customers which animal’s milk producers used to make the cheese, where the cheese was made and whether or not it is vegetarian friendly. Webster recommends people try a cheese flight in the store. Flights include three cheeses for $10. For $5 more customers can add meat to their tasting. The Rhined also provides detailed labels for the regionally sourced meats, butters and fruit preserves it sells. The shop stocks about 30 wines by the bottle and glass, as well as beer, she said. In the meantime, Webster is enjoying serving customers and educating them on the types of cheeses in the shop. Customers are adventurous, she said with a laugh. "People are willing to try anything," she said. "People eat whatever I give them. No picky eaters yet." The Rhined is open 10 a.m.-8 p.m. Tuesday-Thursday, 10 a.m.-10 p.m. Friday, 9 a.m.-10 p.m. Saturday and 10 a.m.-6 p.m. Sunday.